Parasols are for people. Lotus and Venus are for the individual. For those who want their own place out of the sun. A place in the shade inspired by nature. A leaf that makes shade for you. A leaf you can easily adjust depending on the position of the sun. A shade-leaf that makes that place in the sun your place in the shade. The Lotus and Venus meet the individual desire for shade. 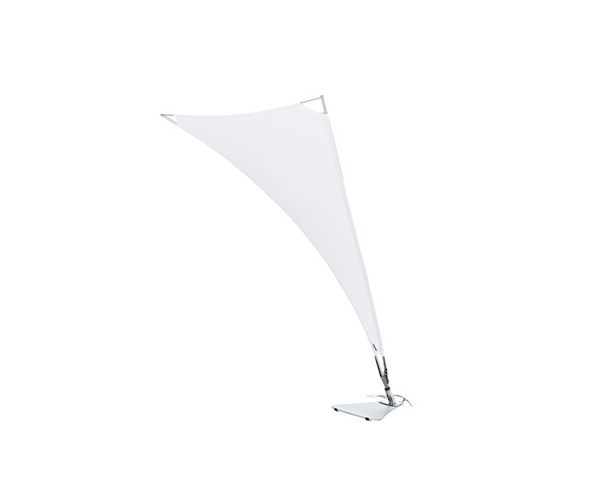 Inspired by the natural shape of a leaf, both shadow makers offer you your own place in the shade.